The exhibit encompasses Whitley’s entire career, from his bluegrass roots to his success as a singer in a traditional style of country music with No. 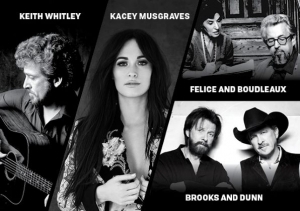 1 hits “Don’t Close Your Eyes,” “When You Say Nothing at All,” “I’m No Stranger to the Rain,” “I Wonder Do You Think of Me” and “I’m Over You.” The installation will also look at Whitley’s influence on the country singers who followed him. Musgraves has created a sound that is rooted in traditional style country music, but also draws on new influences. Her love of witty wordplay and her willingness to tackle what some may see as taboo subject matter have endeared her to like-minded artists such as John Prine and Loretta Lynn. This exhibit will trace her musical journey, which began in the 1990s in her East Texas hometown, Golden. 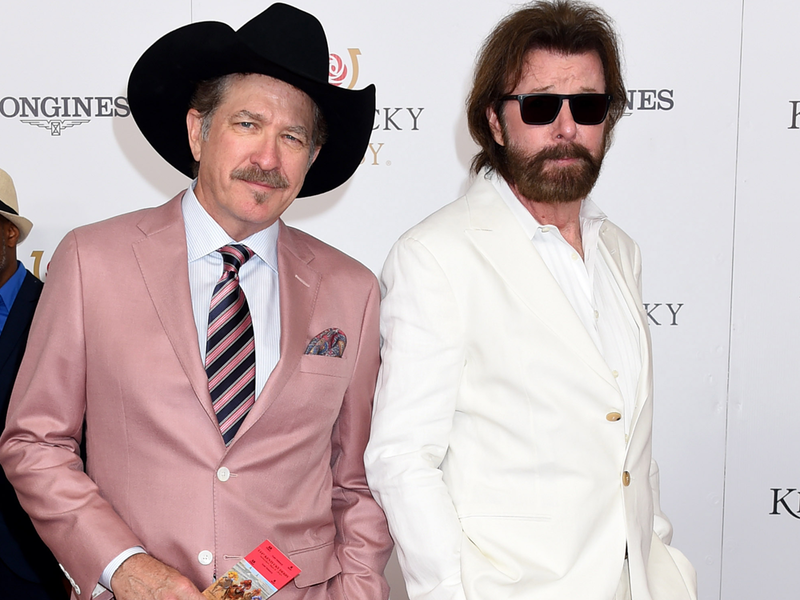 Initially united by their love of songwriting, Brooks and Dunn rocketed to stardom in the 1990s with their first four singles hitting No. 1. This success continued as the pair—the best-selling country duo of all time—remained leaders in country music for two decades with hits including “My Maria,” “Red Dirt Road,” “Hard Workin’ Man,” “Neon Moon,” and “Boot Scootin’ Boogie.” The museum’s exhibition will recall their early careers as solo artists and songwriters, the circumstances that united them as performers, and their innovative approach to stage production and touring. The couple, who were the first full-time songwriters in Nashville, were elected together to the Country Music Hall of Fame in 1991. They found initial success in the 1940s when Little Jimmy Dickens recorded their song “Country Boy.” During the 1950s and 1960s, they had hit after hit with the Everly Brothers, including the siblings’ first big song, “Bye, Bye Love” and chart-toppers such as “Wake Up Little Susie.” Among the Bryants’ hits for others are Red Foley’s “Midnight” (co-written with Chet Atkins), Eddy Arnold’s “How’s the World Treating You” (also with Atkins), Jim Reeves’ “Blue Boy,” Bob Luman’s “Let’s Think About Living,” and Roy Orbison’s “Love Hurts,” later an international hit for the rock group Nazareth. One of the Bryants’ best known songs is “Rocky Top.” Popularized by the Osborne Brothers in 1968, “Rocky Top” is now an official Tennessee state song and the beloved anthem for the University of Tennessee’s athletic teams. During their distinguished career, the Bryants had some 800 songs recorded by more than 500 artists, amounting to sales of hundreds of millions of records.